People create powers of attorney for many reasons, from estate planning to preparing to be hospitalized. As a Virginia resident, you can establish a power of attorney by satisfying a few legal requirements. You also have the flexibility of granting as much or as little power over your affairs as you want, and you may revoke your power of attorney at any time. 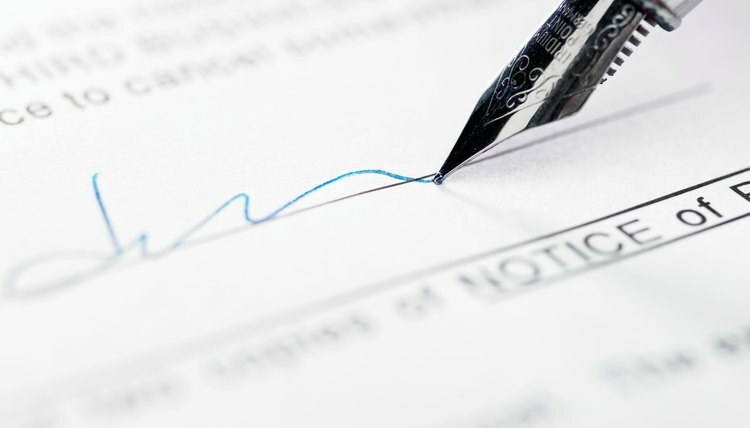 A power of attorney is a legal document in which you, the principal, authorize another person, the agent, to engage in financial transactions on your behalf. This is sometimes called a financial power of attorney or a power of attorney for finances. In Virginia, as in all states, POAs can be either durable or non-durable. When a POA is non-durable, it becomes ineffective once the principal becomes unable to make decisions for himself, known as incapacity. In contrast, durable POAs remain effective despite a principal's incapacitation. Durable POAs can also be drafted so that they only become effective upon the principal's incapacity. POAs created in Virginia are automatically durable, unless the terms state otherwise. Because you are giving another person the power to engage in transactions on your behalf, for which you will remain legally responsible, it is important to choose an agent you trust. The agent is charged with the responsibility of acting in your best interest at all times. For this reason, Virginia residents often choose a trusted family member or close friend for the role. The powers you grant under your POA may be as broad or as specific as you like. For instance, you may grant your agent broad authority to engage in any transactions you may engage in. Or, you can limit your agent to specific transactions only, like the power to sign for the purchase of a specific property or to pay bills using funds from a specific bank account. To draft a power of attorney in Virginia, you must be at least 18 years of age and able to understand what you are doing. Once you sign the POA, the document becomes valid in the state. Virginia law does not require the POA to be notarized or witnessed; however, it cannot hurt to do both. Virginia state law permits a third party to presume the validity of your signed POA, but several states require POAs to be witnessed by two people. So, for example, including two witnesses or having it notarized will increase the likelihood of your POA being honored outside of Virginia if the need arises. At some point, you may decide you no longer need a power of attorney or wish to terminate your agent's powers. When this happens, you must revoke the original POA. However, you can only do this if you are mentally competent. This means you cannot revoke your POA if you have become incapacitated and no longer understand what you are doing. If this happens, a court will need to appoint a guardian or conservator for you and that person may then revoke the POA on your behalf. Virginia law does not prescribe a particular method for revoking POAs; however, it's a good idea to place your revocation in writing and deliver it to your agent as well as any persons or businesses who received the original POA. Due to recent changes in state law, certain powers must be explicitly stated in your power of attorney in order for them to be valid. These powers include an agent's ability to change beneficiary designations; create or change rights of survivorship; create, amend, revoke or terminate a living trust; delegate power granted under the POA; waive beneficiary rights in a joint or survivor annuity or retirement plan; and exercise fiduciary duties the principal has authority to delegate.